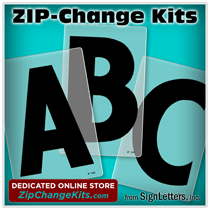 Cast aluminum sign letters are priced per character. 2" Cast Aluminum Letters - Champagne Anodized - Craw Clarendon Cond. 3" Cast Aluminum Letters - Champagne Anodized - Craw Clarendon Cond. 4" Cast Aluminum Letters - Champagne Anodized - Craw Clarendon Cond. 6" Cast Aluminum Letters - Champagne Anodized - Craw Clarendon Cond. 8" Cast Aluminum Letters - Champagne Anodized - Craw Clarendon Cond. 10" Cast Aluminum Letters - Champagne Anodized - Craw Clarendon Cond. 12" Cast Aluminum Letters - Champagne Anodized - Craw Clarendon Cond. 15" Cast Aluminum Letters - Champagne Anodized - Craw Clarendon Cond. SignLettersOnline = distributors of high-quality, premium sign letters.